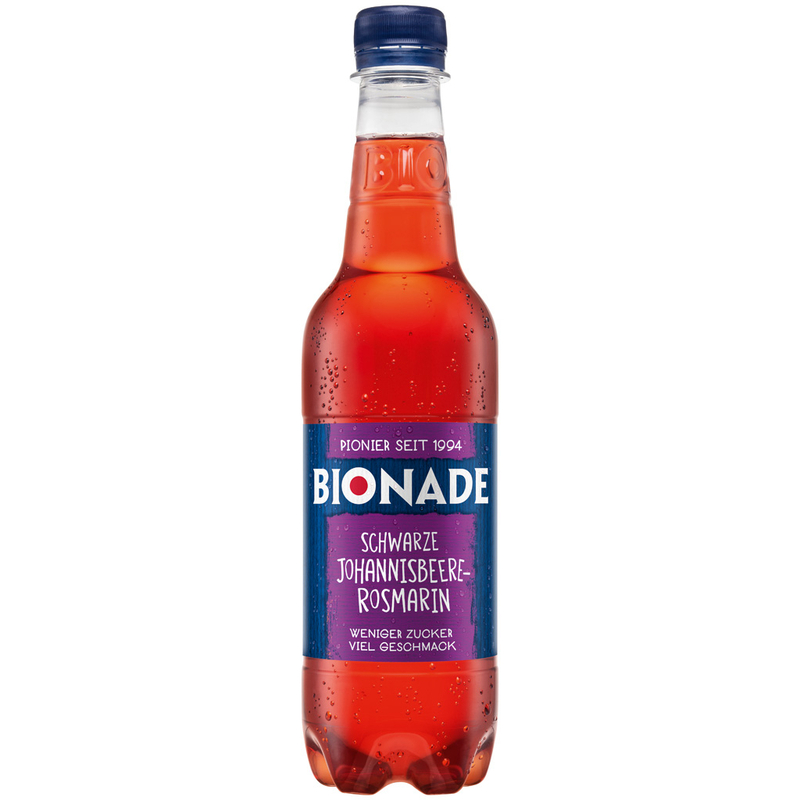 Bionade Black Currant-Rosmary – an organic non-alcoholic refreshment drink, uniquely made by the fermentation of natural raw materials. 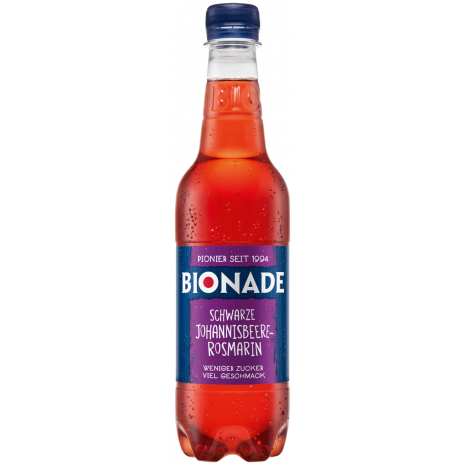 Bionade Black Currant-Rosemary is a combination of fresh and fruity black currant berries with fragrant and earthy rosemary notes. A perfectly balanced love straight from the garden. This non-alcoholic refreshing drink is made by fermenting natural, raw ingredients from certified organic farms in the Rhön Biosphere Reserve. 500 ml / 16.9 fl.oz NET. WT. Water, sugar*, 1% BARLEY MALT*, currant juice from concentrate*, carbonic acid, natural currant*- and rosemary* flavor, acidity regulators: calcium- and magnesium carbonate. *From certified organic farming. Wasser, Zucker*, GERSTENMALZ* 1%, Johannisbeersaftkonzentrat*, Kohlensäure, natürliches Johannisbeer*- und Rosmarin*-Aroma, Säureregulatoren Calcium- und Magnesiumcarbonat. *Aus kontrolliert biologischem Anbau.